The purpose of this Guide is to explain how ICE detainers work and how they impact the rights and cases of those charged with criminal cases in Connecticut. WHAT IS AN ICE DETAINER? ICE detainers are issued every day in Connecticut yet many lawyers and even Police officers do not understand exactly how they are supposed to function and how they work. This leads to a lot of confusion. An ICE detainer is a legal document issued by INS or DHS officer and served upon a jail or police station to request that the jail or police detain and hold the individual who are in law enforcement custody or jail who they feel may be possibly subject to deportation. It is a REQUEST to hold that person. The Police Department or Jail does not have to honor the request, but in Connecticut they do. In many other jurisdictions throughout the United States municipalities have refused to cooperate with ICE and some have even designated themselves as “Sanctuary Cities.” Sadly though in Connecticut ICE Detainers are always respected by both local police departments and by the Commissioner of Corrections. The Detainer is sent to a Police Department or jail typically via fax or by an ICE officer who is on site. The detainer requests that the agency who is in custody of the suspect detain him or her for an additional 48 business hours beyond the time the suspect would have otherwise been released (either through the posting of a bond; the completion of a sentence of other disposition of the case) in order that ICE or DHS can have an opportunity to come and pick up the suspect to initiate deportation proceedings. In theory if ICE or DHS does not show up within 48 business hours the agency who has custody of the suspect is supposed to immediately release him or her at that point. In practice some suspects are help longer and unable to do anything about it. Anyone who has previously been deported and illegally reentered the United States. Anyone who has a final order of Deportation and / or failed to attend immigration Court dates. Anyone who is here without documentation and who has been charged with a crime. Anyone who is here without documentation and who has been convicted of a crime. Documented aliens who have been convicted or charged with certain crime. If you have an ICE detainer and your case is pending and you post the bond at the jail. You will not be released. Instead the jail will notify ICE that you have posted your bond and hold you for up to 48 business hours to see if ICE wants to come and pick you up and initiate deportation proceedings or let you go free. In practice this means that you will be transported to the Bridgeport Correctional Center and held there for pick up by the ICE agents. It has been my experience that in the vast majority of cases where ICE has lodged a detainer they will come and pick you up at the jail and take you to an immigration detention center if you post the bond. So the first injustice that an undocumented alien who gets an ICE detainer faces is the reality that they are going to be held without bond during the pendancy of their case. For this reason, when I am representing undocumented aliens who have ICE detainers I always try and get their cases resolved as quickly as possible so they do not sit in jail for months why their cases are getting worked out. To me this is a huge injustice. Also, without the ability to get out on bond often it makes it much more difficult to resolve the case in ways which can avoid a criminal record. Another huge disadvantage. Because the individual subject to a detainer is unable to walk out of the jail without being picked up by ICE in effect they are precluded and prevented from participation in many of the diversionary – alternative to incarceration programs such as the Alcohol Education Program and the like because even if they were granted any program if they were released from the jail they would be taken into custody by ICE. The commissioner of corrections requires that all inmates with an ICE Detainer complete their entire jail sentence. The full sentence. Ordinarily, the typical inmate will earn credit for “good time” and a earlier release date than the actual sentence received depending on the type of crime. Violent crimes typically require an inmate to serve 85% of the sentence while non violent offenses such as violation of probation, larceny and drug offenders often can be released after doing only one half of the original jail sentence. Those charged with 2nd or 3rd time DWI offenses are often able to enter into an ankle bracelet program and be released in a matter of a few weeks. None of the options apply to those inmates who have an ICE Detainer. It has been my experience that the corrections department will make those inmates serve 100% of their sentence before releasing them. This is very unfair. The ICE officer places the ICE Detainer without any judicial review or finding of probable cause and yet the placement of that document can lead to significant loss of rights on behalf of those who are charged with crimes in Connecticut. In October of 2016 the United States District Court for the Northern District of Illinois held that all ICE Detainers issued in that district were invalid and unconstitutional. The name of the case is Jimenez Moreno et al v. Napolitano. In that case the Court held that ICE needed to go to Court and obtain a warrant first before placing a hold any anyone in jail and also holding that an ICE Detainer was beyond the power of the ICE agents power to make warrantless arrests. What does this mean for those charged with crimes in Connecticut? In my opinion the ICE Detainer is unconstitutional and would not hold up to an appeal to the United States District Court. 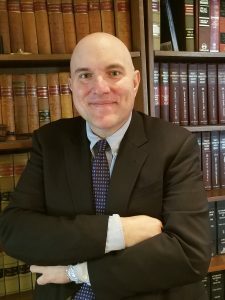 If you or your loved one is an undocumented alien and facing criminal charges you really need to consult with an experienced Stamford Criminal Defense Attorney who understands the ramifications that the criminal case can have upon your immigration situation. Avoiding the placement of an ICE Detainer is a key strategy aspect of any criminal representation. You should always try and bond out of jail as quickly as possible before an ICE detainer can be placed upon you. As soon as you are released from jail contact a Stamford Criminal Defense Lawyer to discuss your case. If your loved one is already in custody with an ICE Detainer contact our office as soon as possible so that we can begin to build a defense plan to resolve his or her case and at the same time bring in an immigration attorney who works closely with us to work out a strategy to combat the ICE Detainer. We are available 24/7 365 to answer your questions and we offer free initial consultations. Call us today at (203) 515-4110.